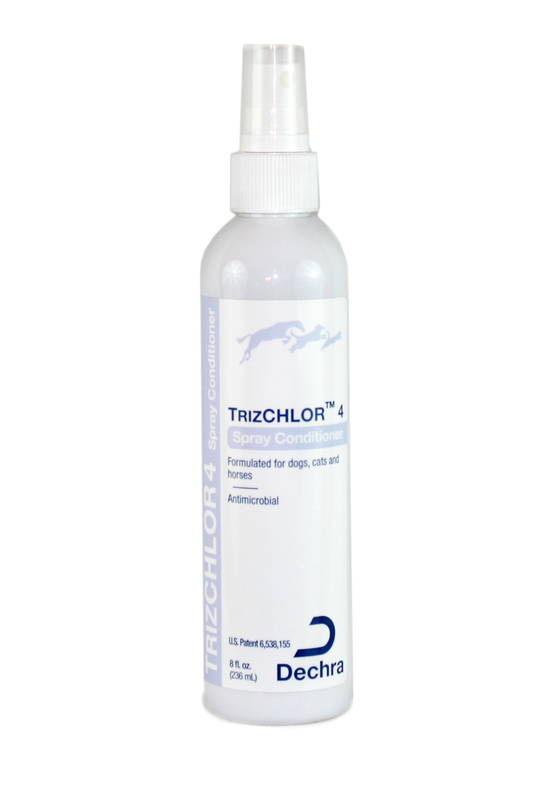 TrizCHLOR 4 from Dechra soothes, cleanses and heals dry skin as well as infections and hot spots. Great for skin conditions that cause itching and soreness, TrizCHLOR 4's proven antibacterial ingredients are shown to have residual effects and remain as an active protectant for your pet's skin even after rinsing. Shake well before use. Spray directly onto skin and fur and allow to dry. Can be used on dry fur as well as after shampooing.